More than 6 billion people worldwide consume milk and milk products, and the majority of them live in low and middle-income countries. Milk is not only one of the few agricultural products that can be produced by the landless, it is also one of the most commonly consumed commodities in the world, with cow milk being the 5th most produced food commodity by volume of production. Therefore, any improvements that can be made in the dairy value chain have widespread benefits for farmers, processors and consumers alike. The Renewable Energy & Energy Efficiency Partnership (REEEP), with financial support from GIZ (the German Corporation for International Cooperation), launched a project titled “Greening the Dairy Value Chains in India” in January 2018. This is a follow-up to an earlier project in 2017 titled “Business Cases for Clean Energy Solution in the Dairy Value Chain”, which undertook a detailed review of the current technologies used in the dairy sector in India (Rajasthan and Uttar Pradesh). The current project aims to identify high potential clean energy interventions for increased efficiency and economic opportunity along the milk value chain, as well as to research the role of ozone depleting substances/refrigerants used for milk cooling. As a part of the initial steps, REEEP commissioned an energy audit of two dairies, one each from the cooperative sector and the private sector, and visited India to meet stakeholders in UP, Rajasthan, Delhi and Haryana in March 2018. 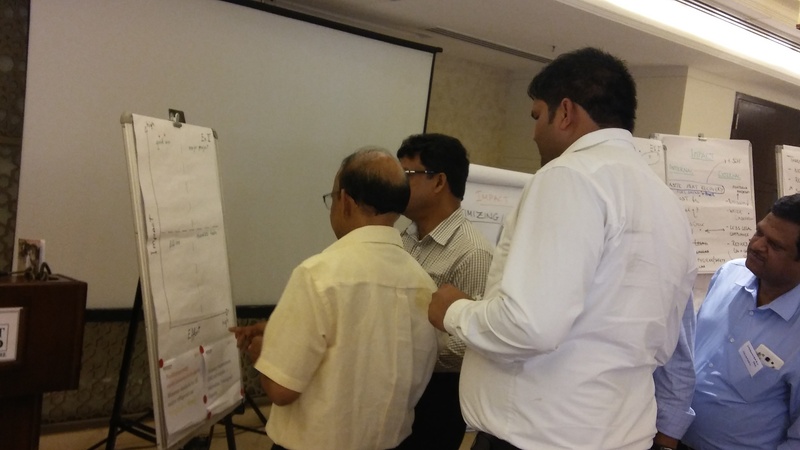 On 17 April 2018, REEEP conducted a workshop with key stakeholders in New Delhi to present the findings of the research thus far, including the energy audits, and develop a stakeholder-driven concept for a long-term intervention in this sector. Participants in the workshop were primarily interested in understanding the technical aspects of the research, especially the findings of the energy audits. In addition, a majority were also interested in knowing about sources of financing for energy efficiency measures as well as the necessary policy interventions to implement these energy efficiency measures in the dairy sector. Following Markus Wypior’s (GIZ India) presentation on the Montreal Protocol and the efforts to eliminate the use of Ozone Depleting Substances (ODS) in the refrigeration sector in India, participants were requested to provide inputs on the refrigerants used in the dairy sector in India. The participants indicated that most of the dairy processing units in India use ammonia, which is a natural refrigerant with little / no impact on the ozone layer and global warming. However, interventions may be required to eliminate ODS at the bulk milk chilling (BMC) and retail levels. Next up were DevGreen, an energy consultancy that had conducted both investment grade energy audits as part of this project. CEO Sobhanbabu PRK presented some key findings from those audits and suggested some key energy saving measures for the dairy sector. Both dairy audits found that the replacement of pumps and improvement of refrigeration would result in the largest reduction in energy costs, with a payback time of less than 12 months. Participants agreed that the findings of the energy audits were representative of the dairy sector in India and accepted that the proposed energy efficiency measures were necessary. Denise Recheis and John Tkacik of REEEP then took to the stage and presented findings of the project to date, as well as ideas for a longer-term initiative. Such an initiative should include support for dairies to audit their plants and to implement proposed improvements resulting from the audits, as well as capacity building for energy auditors to fine-tune their reports to suit the precise needs of the dairy sector. Furthermore, collaboration with the supporting environment (policy, finance) would be part of any such initiative, with the aim of creating a sustainable credit line for a wider rollout of energy efficiency measures throughout India’s dairy sector. A lively discussion about the most suited renewable energy technologies and energy efficiency solutions followed, and the group got into some brain storming about how to best gain the support of dairy stakeholders for this transition to a climate-conscious growth path in the dairy industry. We are now digesting all the information and impressions of the last few months, and preparing to continue our engagement in this space with a follow-up project.